You may know that DVD discs go digital now, if not, you should know. If you still get your DVD collection trapped in their dark prison, it's the high time to free them and move to your iPad, iPhone, Samsung Android or game consoles and any portable devices you own. This is why digitization of DVD collections gets started - to watch DVD movies in the player-free future, which thrives in DVD disc to digital conversion. Specifically, we convert DVD discs to a digital video format like MP4, MOV, AVI, or so for playback on mobile devices phones tablets or game consoles like Xbox One, PS4, or just make DVD digital copy on your computer hard drive, or both. I'll focus on how to achieve these here with the best DVD ripper. Is It Easy to Digitize DVD Discs? VUDU Disc-to-Digital service is promising, surprising and lacking. You are offered to make authorized digital copies of DVD and Blu-ray movies you own, to be stored in an UltraViolet digital locker. 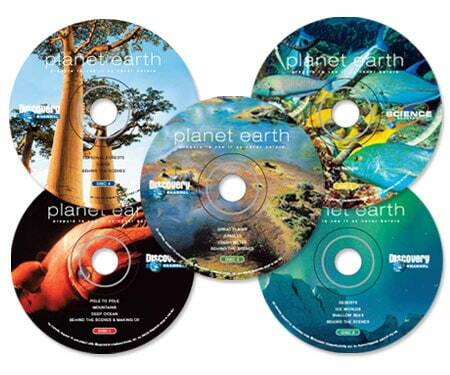 It is great to turn your DVDs into more portable and convenient copies. 1, it can be pricy - the cost is $2 for SD, $5 for HD, if you have thousands of DVDs, you are going to pay for them again, have to admit that it is a big figure. 2, it cannot convert all the discs, for example, Disney disc to digital is not supported, not to mention the sound quality, added stuff, ads. 3, even though you pay for HD digital movie, you are restricted to download movies in SD only as major movie studios may have put idiotic restrictions on HD download. 4, the movie download depends heavily on the internet, which may takes quite a long time to get your paid films. 5, it's not stable, sometimes Vudu disc to digital not working for unknown reasons. Maybe you want a better way to convert discs into digital formats, a way that converts discs to digital movies with fast speed, that can convert protected DVDs to MP4, AVI, MOV and more digital files, and that comes fee-free. Not all the software targeting converting DVD is qualified, there is a difference between promises and reality. If you are looking for best-in-class Disc-to-Digital software delivering fast conversion speed and untouched quality without the expensive price tag to match, MacX DVD Ripper Pro is worth trying. 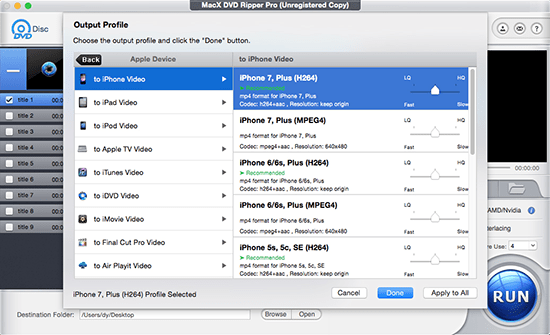 The software offers you a surefire method to copy and convert DVD discs to digital MP4 AVI MOV MKV VOB MPEG-2 ISO image and other major video and audio formats so as to play them on iPhone iPad Samsung Android without any further ado. This software works as an excellent DVD decrypter, which is able to convert any encrypted DVDs, including DVDs protected by Disney X-project, CSS, Region Code, RCE, Sony ARccOS, UOPs and more. Thanks to its High Quality Engine, multi-threading, multi-core processing and Intel QSV, you can convert multiple DVD disc titles with 5 mins only if your computer configuration is included in high level. Step 1: Free download DVD converter software for Mac that works on Mac OS X (macOS High Sierra/Mojave included) and run it. Click "DVD Disc" to load DVD movie. Tips: For PC users running Windows 10/8/7, you can check its windows version . Step 2: Select an output format. You can convert DVD to MP4, DVD to MOV, DVD to AVI, and many other digital video formats. Step 3: Choose an output folder to save output movie files by hitting "Browse" button. Step 4: Click "RUN" and this top DVD converter's ripping engine goes into action to start converting DVD disc. Notice: We only advocate converting DVD disc tunder the concept of Fair Use and do NOT encourage any illegal reproduction or distribution of copyrighted content. Please abide by the local DVD copyright law before doing it.